DANJIANGKOU, CHINA—Once a collection of agrarian villages, Danjiangkou, about 1,200 kilometers (745 miles) south of Beijing, is now a small but bustling town. 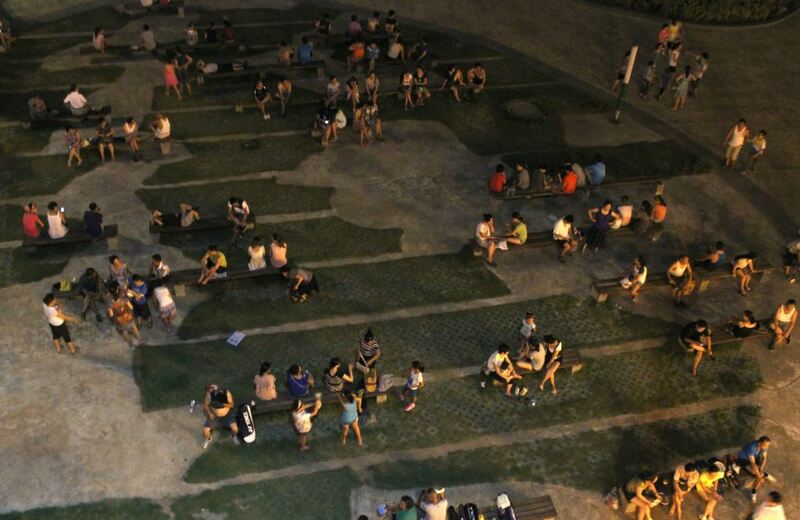 At night, groups dance on a promenade by the river. Inside the town’s only bar, just opened last summer, young men and women eat popcorn and watch a woman in a black leather tank top and mini-skirt sing “Umbrella” by Rihanna. Its location on the Han River helped give Danjiangkou the seeming good fortune to be chosen as a keystone in China’s solution to a worsening water crisis. Starting next year, about 9.5 billion cubic meters (335.5 billion cubic feet) of water from the Danjiangkou Reservoir will travel from here to over 100 cities—including Beijing—in northern China, where water is scarcer than in the south. Signs in the town proclaim it to be the “fount head” of the central route of the South-North Water Diversion Project (SNWDP). The project “is giving Danjiangkou a name,” a young owner of a local restaurant says. A 30-minute drive out of town, the picture starts to change. In Gangkou village, a tan, middle-aged woman with a round face and jet-black hair sits on a short wooden stool, stitching an image of a lake flanked by two mountains, a landscape that decorates many a Chinese home. Gangkou is one of hundreds of government-designed housing units, and the woman is one of at least 345,000 villagers from Hubei and Henan provinces who have been moved here, out of the way of construction for the water transfer system. This is the largest relocation in China since the Three Gorges Dam, when over a million people were ordered to move. It is something of a test. The country has passed laws and made efforts to improve its much-criticized record of forced relocations. The government is calling the resettlement project a success. But locals and other observers say officials are overlooking a long list of repercussions for some of China’s poorest people. Gangkou Village, one of hundreds that house relocated villagers around Danjiangkou. Quartz / Lily Kuo. 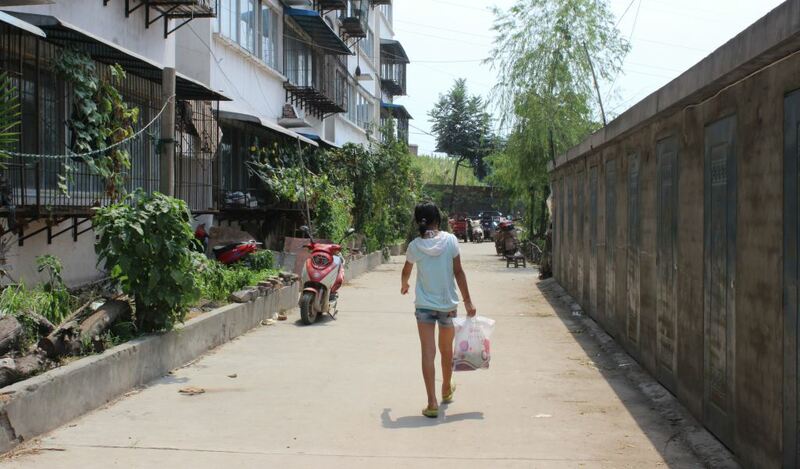 The relocated residents around Danjiangkou, often farmers from towns and villages where their families have lived for generations, are now “immigrants” surviving on government handouts, small plots of land, and money sent back from children who have left for nearby cities. People from other areas along the central route have been moved to make way for construction of a canal that will carry water from the dam to Beijing by force of gravity. More than a thousand structures, including two 3.4 km tunnels under the Yellow River, have been built for the route. 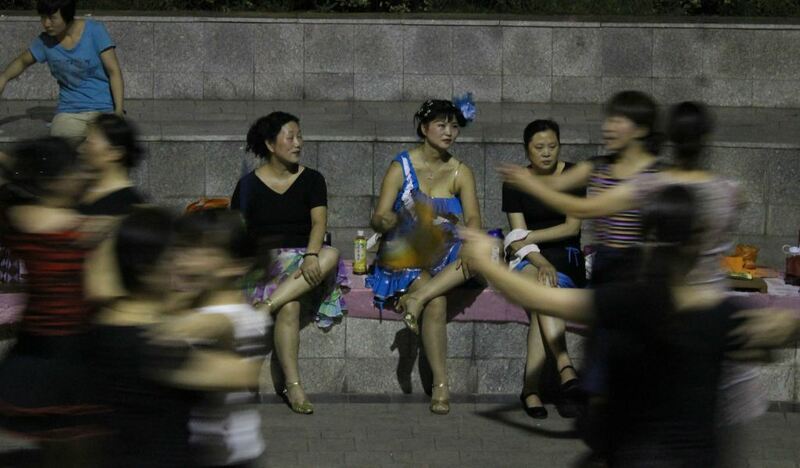 Residents in Danjiangkou dance by the Han River. Quartz / Lily Kuo. Residents by the Han river in Danjiangkou. Quartz / Lily Kuo. 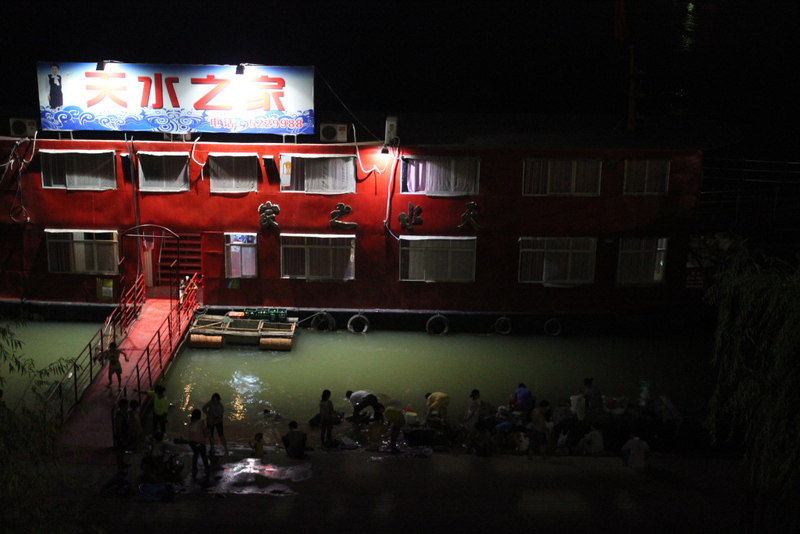 Danjiangkou locals outside a restaurant along the river. Quartz / Lily Kuo. Since 1949, over 45 million people in China have been relocated, at least 12 million (link in Chinese) because of hydro-projects like reservoirs. In 1989, officials said that 70% of the people moved for the construction of dams, reservoirs, canals and other water-related infrastructure during the first three decades of the People’s Republic were still living in extreme poverty (link in Chinese). In 2000, former premier Li Peng said there were still enormous “inherited problems” (pdf, p. 199) with resettlement. Since then, China has continued to move people out of the way for dams, mines, real-estate developments, and events like the 2008 Olympics in Beijing and the 2010 World Expo in Shanghai. Still, there are signs that the villagers moved because of the SNWDP have received more care than those in the past. The municipal government of Danjiangkou first ran a trial relocation in 2009, sending 2,000 government employees to persuade families to agree. Tens of thousands of government workers were then dispatched for the full relocation. Reportedly, 21 officials died from exhaustion. 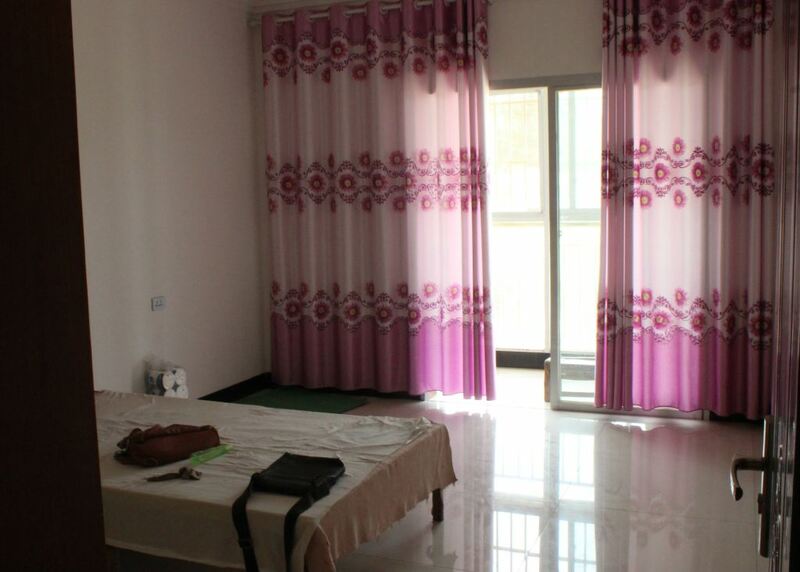 Some of the amenities of relocated residents’ new homes in Jijiagou village, near the Danjiangkou Reservoir. Quartz / Lily Kuo. Yet villagers don’t get a choice of where to relocate. And while the SNWDP’s announced post-resettlement budget of 25 billion yuan for the central route is more than twice as much (pdf, p. 6) per head as what was allocated to residents of Chongqing resettled for the Three Gorges Dam, according to the nonprofit International Rivers, it’s still not much. The budget is meant to cover the resettlement of about 345,000 people in Hubei and Henan, the SNWDP office said in an interview with Quartz—about 72,400 yuan ($11,000) a person. The migrants are awarded 1.5 mu (0.1 hectares, or 0.25 acres), an area that’s often smaller than the tracts farmers were allotted in the 1980s and worked to turn into arable land. Officials hail a new policy whereby families get 600 yuan a year for 20 years after their relocation to protect villages against the risk of long-term impoverishment, in addition to the one-off compensation they receive. It’s not an entirely trivial sum given the average per capita income of Chinese farmers—about 8,900 yuan (link in Chinese) per year in 2013—but most of them can no longer make a living from farming and their new lives are costlier. According to one immigrant, the stipend doesn’t even cover the cost of water for her new apartment. The migrants around Danjiangkou are particularly vulnerable. “One big problem is that hundreds of thousands of migrants became landless… and those migrants became jobless because the local economy is too weak to absorb so many unemployed people,” Chen Guojie, a senior researcher at the Institute of Mountain Hazards and Environment of the Chinese Academy of Sciences, told Quartz. The Danjiangkou Reservoir crosses 43 municipalities or counties, many of them very poor. Some villagers have been uprooted more than once: almost a third of relocated locals, like the woman in Gangkou, were moved when the reservoir was first built. At the time, over half of those relocated villagers were living below the poverty line, according to official data on the project. Moreover, many villagers relocated for the SNWDP began suffering its effects years or even decades before having to move. Zhang Chunlian, who lives in Danjiangkou city near a new development zone, is embarrassed by her home. It consists of two darkly lit rooms, protected from the outside by jagged walls of old brick. In one room, a television plays, but no one is watching. Zhang quickly tears off a faded red paper banner that hangs above her doorframe, likely left over from the previous Chinese New Year. For the 20 years that Zhang’s family has lived here, they have been ordered by local officials not to build or renovate their bare homes, in preparation for the development zone when they will have to be moved. The zone, planned in connection to the SNWDP, is intended to make the most of the city’s newfound prestige and create a hub of auto-making, engineering, medicine, and services. The government promises to pay locals 21,620 yuan, about $3,500, in exchange for one mu of land, but because Zhang’s home and the small bit of farmland they have is less than that, her compensation will likely be lower when she is relocated. Zhang Chunlian has been waiting for news of when and where her family will be relocated for almost 20 years. Quartz / Lily Kuo. Zhang’s village is an example of the fact that local governments are undertaking construction projects related to the SNWDP that require the resettling of even more people. The 47-square-kilometer (18-square-mile) development zone in Danjiangkou is being built over an area that was once home to about 53,000 people. It’s unclear how many are actually being relocated; Quartz spoke to residents who said their village of about 30 families had been moved to make way for a highway for the development zone. A downstream city called Xiangyang is undergoing a similar urban overhaul that is uprooting residents. And on the Han River, Hubei province has also installed a supplementary water transfer system (link in Chinese), displacing at least 5,200 locals. 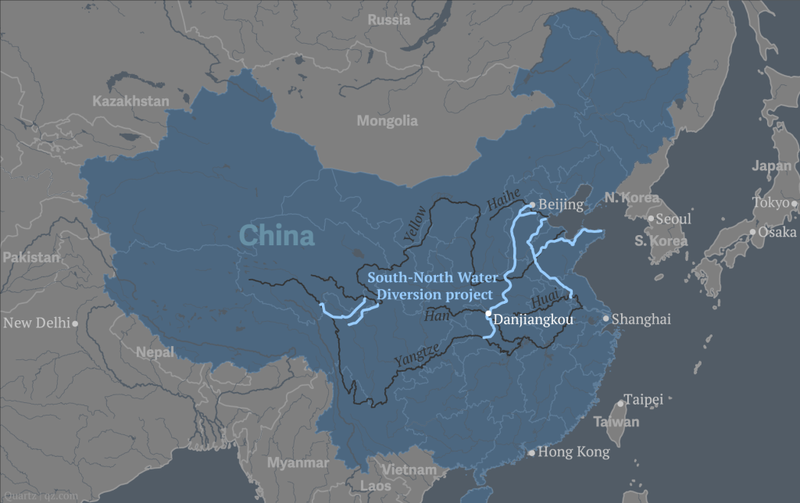 Completing the first two routes of the water diversion system has so far meant relocating or acquiring land from around 600,000 people, Shen Fengsheng, head engineer of the SNWDP project, told Quartz—far more than the number of affected residents, 345,000, that officials usually cite. While it is still early in the process, there are already signs of the long-term impact of relocation and stalled development. Rural personal net income in Danjiangkou was 6,015 yuan (link in Chinese) last year, well below the national average for rural areas of 8,896 yuan. In urban Danjiangkou City, where some villagers have been moved, urban disposable income in 2013 was also lower, 17, 540 yuan, compared to the national urban average of 26,955 yuan. Other problems range from cases of fraud to tension between migrants and locals of villages to which the migrants are moved. “There’s too much opportunity for corruption,” said 40-year-old Tian Debo, a displaced former farmer who earns money from driving people back to their hometowns or to visit relatives now living in other villages. Tian says he and his brother had to fight his village head in Longshan village to get the full compensation they were owed. When people are resettled in existing villages, some of the local residents’ land is often seized to give to the migrants. Naturally, that makes for a tense relationship between them. In July, villagers protested against land seizures and clashed with local gangs (article in Chinese) sent to break up the demonstration. “All the SNWDP achieves is causing farmers to lose land and their homes,” Yi Xianming, a consultant who was responsible for the planning on the project, wrote on his blog (link in Chinese). Down the road from Gangkou is a village of about 80 households called Jijiagou. It’s a picture of what may be the biggest cost of these relocations. The new two-story apartments in the dusty outskirts of a city feel empty and strange to many of their residents after decades of life as farmers. Families have tried bringing orange trees from their old villages to replant outside their new homes, but far from the water sources they used to enjoy, the trees whither, according to the author, Mei Ji. 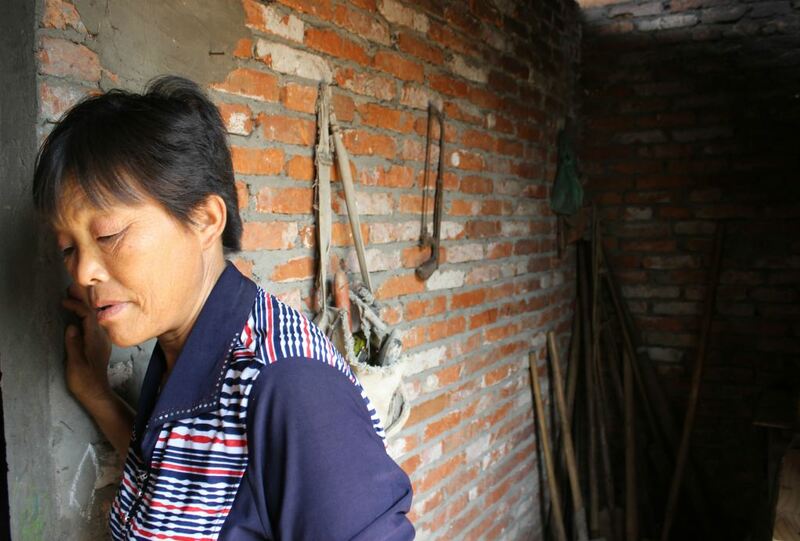 Wang Tonghuan, one of hundreds of relocated residents who now live in Jijiagou Village near Danjiangkou. Quartz / Lily Kuo. 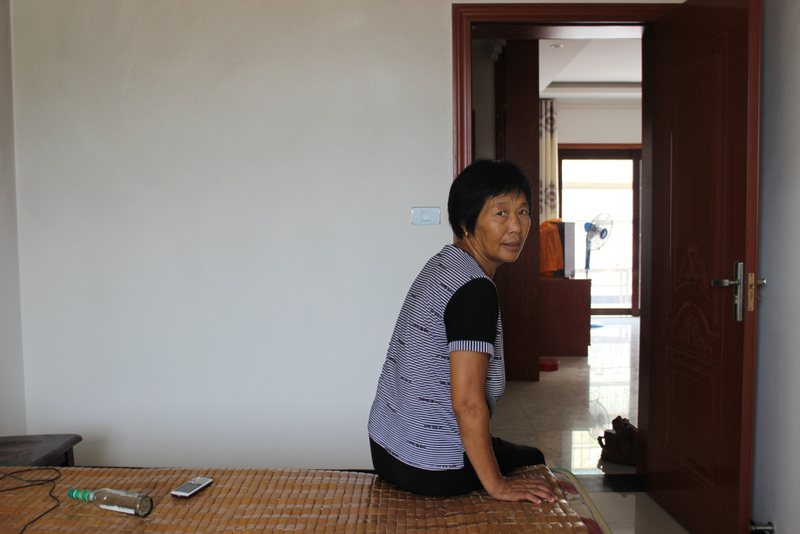 “There’s no land, and there’s no work to do,” says Wang Tonghuan, a 62-year-old woman who moved to Jijiagou in 2011. With her husband, Wang lives in a three-bedroom apartment with shiny, cool linoleum floors. Her two daughters have gone to larger cities in the province for work. She volunteers to talk to Quartz despite the fact that residents are periodically “invited for tea” by the local police who remind them not to speak to media. Additional reporting by Ning Hui. Read the first part of this series: China is so bad at conservation that it had to launch the most impressive water-pipeline project ever. For more on this, see Probe International’s South-North Water Diversion Project archives.